My eldest grandson (age 5) is autistic. His parents work full-time so I am his caretaker. He is very picky about his food, does not talk, is hyperactive, walks on his toes, has difficulty concentrating, wakes up in the middle of the night, is not potty-trained, and fiddles with his fingers. We do a gluten-free / casein-free diet, supplements to detoxify his body of metals, soft laser treatments on his brain, and essential oils. Our main concern is how to reduce his hyperactivity and improve his language. Please help. Hi Grandpa! It is clear from your letter that you absolutely adore your grandson and would do anything to help him. Your love really shines through. What else stands out to me about your letter is that your family is trying a lot of biomedical approaches to help your grandson, but there was no mention of any behavioral interventions. As a behavior analyst I’m not familiar with the research on any of those treatments you mentioned, but I know the research is very clear on the effectiveness of behavioral therapy for those with autism. There are thousands of studies, across several decades and multiple countries, which have concluded that applied behavior analysis is effective in reducing problem behaviors (like disruptive hyperactivity) and increasing adaptive behaviors (like communicating and potty-training). In fact, applied behavior analysis (ABA) is the most well-researched and most proven intervention for autism. In order to change a behavior you must first identify what the function of that behavior is. Does he do it to get attention? Does he do it to get access to an item or activity? Does he do it because it feels good? Does he do it to escape a task, demand, or activity? You MUST know why your grandson does something before you can know how to respond to it. Whenever we want to reduce a behavior we MUST provide a replacement. For example- If you want your grandson to stop running around in the house you must give him an alternative. Maybe the alternative is jumping on a trampoline or running around at the park. Consistency is key! If you apply a strategy only some of the time your grandson’s behavior will not change. Provide your grandson a functional way to expend some energy. Physical activity such as outdoor play may help. Some other things to try might be climbing, jumping, dancing, or silly movements like wheel-barrows, jumping jacks, or bear crawls. Set him up with small tasks when he needs to get things done. For example, if he needs to do homework but has a hard time paying attention, have him do only a few minutes at a time. Reward him for completing partial tasks. Maybe this means doing three math problems then getting a break. Or perhaps it’s writing three spelling words then getting to jump on the trampoline for one minute. Make it a simple “First ____ Then _____,”with something really exciting as the consequence. Always remember that communication is not necessarily talking. We all communicate in a variety of ways: through gestures, facial expressions, tone of voice, posture, crying, etc. 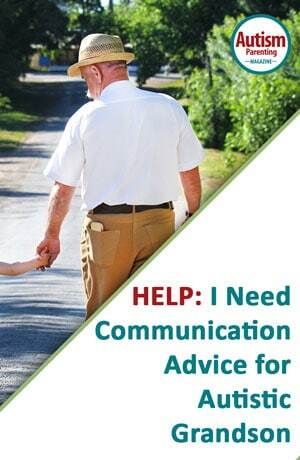 So for your grandson keep in mind that he may need to communicate with you in some way other than using his voice. Maybe he needs pictures or perhaps he knows sign language. Be open-minded to however he is able to communicate. While you can always strive for vocalizations, know that there are many other ways to communicate with you. Create lots of opportunities for your grandson to ask for things. Move all of his favorite items out of reach so that when he wants something you can withhold it until he asks for it. You can even put preferred items into clear jars so that he can see them but will need help to open the jar and get the item. This forces him to interact with another person in order to get what he wants. As parents and grandparents it’s easy to anticipate the child’s needs. But it’s important not to rob your grandson of the opportunity to communicate with you. In order to promote language you have to give him the chance to need If all his needs are already met he will never need to communicate. For example — if he is trying to operate a toy and can’t do it, don’t jump in and do it for him. Instead you can say “Help?” and try and get him to ask for help opening it. Focus on IMPORTANT language and leave all other words out! 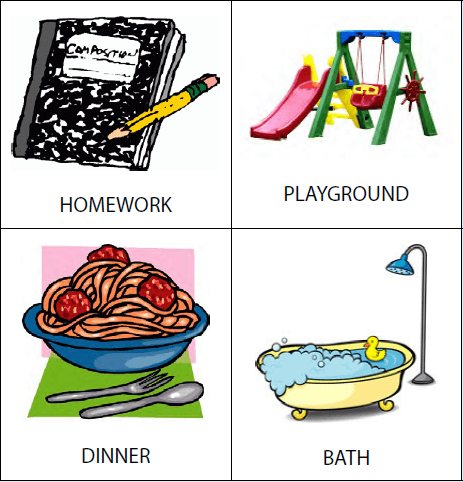 Oftentimes families tend to focus on things like the alphabet, numbers, shapes, colors, or polite words. Your grandson needs to get his needs met, not learn academics, at home. Focus on foods, drinks, toys, people, etc. Also, don’t force him to use words like “please” or “thank you.” Those are meaningless at this point. Keep it short and simple! Start with one word requests. When you know what he wants, show him the item and say the name of it (or show him the picture icon of it, or model the sign for it- depending on how he is going to communicate). For example — you may hold a cookie and say to him, “Cookie.” If he makes any attempt to ask for it, even if he mumbles “buh,” give him that cookie! Or, let’s say you’re using sign language and you hold the cookie then demonstrate the sign for “cookie.” If he makes any attempt to motion with his hands, give him the cookie. As he gets more fluent with asking for the item you can gradually change the expectation to require more out of him. Maybe instead of “buh” you now require him to say “Cook” before giving him the cookie. This process is called “Shaping.” We are rewarding him for approximations until eventually he is able to say the whole word (or use the icon or sign language). I encourage you, and all families, to dig into the research on ABA therapy and find a provider in your area who could assess and treat your grandson. Behavioral therapy is KEY! Best of luck, and check out some of these articles listed below. Reference: Hagopian LP, Fisher WW, Sullivan MT, Acquisto J, LeBlanc LA. (1998).Effectiveness of functional communication training with and without extinction and punishment: A summary of 21 inpatient cases. Journal of Applied Behavior Analysis, 31(2), 211-235. Reference: Asmus JM, Ringdahl JE, Sellers JA, Call NA, Andelman MS, Wacker DP. (2004). Use of a short-term inpatient model to evaluate aberrant behavior: Outcome data summaries from 1996 to 2001. Journal of Applied Behavior Analysis, 37(3), 283-304. Reference: Kurtz PF, Fodstad JC, Huete JM, Hagopian LP. (2013). Caregiver- and staff-conducted functional analysis outcomes: A summary of 52 cases. Journal of Applied Behavior Analysis, 46(4), 738-749. Reference: Rooker GW, Jessel J, Kurtz PF, Hagopian LP. (2013). Functional communication training with and without alternative reinforcement and punishment: An analysis of 58 applications. Journal of Applied Behavior Analysis, 46(4), 708-722. Some very nice suggestions, however, so many of the strategies discussed are not exclusive to ABA, and many were first developed by professionals who were not ABA practitioners (e.g., visual supports, use of exercise and movement to help children regulate). Of more significant concern is the implication that ABA therapists can do it all. Speech-language pathologists and occupational therapists receive a much higher level of comprehensive training in social communication and sensory/emotional regulation. In fact, the US Dept of Education issued a directive to programs serving children with autism in 2015 stipulating that ABA therapists should be considered one equal member of a team process, and that they do not receive the required training to be considered THE autism specialists to deal with so many of the challenges associated with autism. The directive was instigated by statements put forth by ABA agencies similar to some in the article above “In fact, applied behavior analysis (ABA) is the most well-researched and most proven intervention for autism”, when comprehensive reviews of research still indicate that there is no evidence that any one approach is superior to others given the current state of research. So please, look beyond ABA to developmental approaches to seek support for your efforts. While I have worked in ABA programs since 1999, I couldn’t agree more, Dr. Prizant. A comprehensive treatment program includes behavior therapy, speech therapy, occupational therapy, perhaps physical therapy, music, art, movement and, although rarely mentioned…psychotherapy. 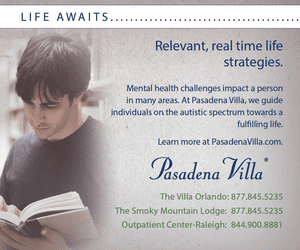 Psychotherapy and therapeutic counseling for the person with autism and their caregivers is essential. 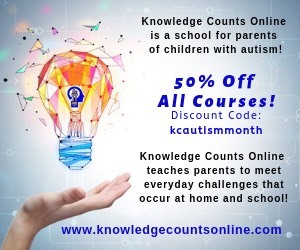 While a strong educational and behavioral strategy seems to be the standard, treatment planning that includes psychlogical support has been shown to produce positive quality of life effects for the person diagnosed with autism and for the caregivers. Desparate Grandfather and Grandmother from South Africa, our situation is the same as the Grandfather from Singapore. We plan to start with ABA therapy,but…..it is extremely expensive!!! see if there is a clinic that offers free or discounted services. Also most places now take most insurances. See if your insurance company pays for these services. I embarked on an ABA programme 17 years ago with a non-verbal child who is now 20, completely verbal, speaks several languages, and attends a local community college where he is learning IT (no surprises there!). I am also the author of Daniel Isn’t Talking, a 2006 novel that describes the real fear many parents have for the future of their children with autism. So I know exactly what you are talking about. 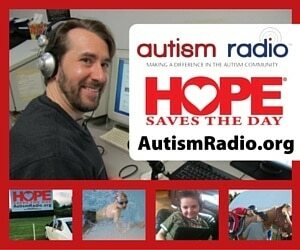 My website, http://www.martileimbach.com often has blogs about autism. Angelina M. has offered some good advice, if a little general. 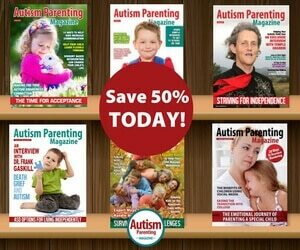 She also rightly commends ABA as a good start for teaching young children with autism. It is easy to get caught up worrying about whether you should “do” ABA (applied behaviour analysis) or RDI (relationship development intervention) or take advice from speech pathologists. The point is that nobody can afford a speech therapist for the 40 hours a week it usually takes to get the kinds of results we hope for: a child who is fare more expressive, non-verbally as well as verbal, a child who is able to learn incidentally as well as through direct teaching, a child who enjoys social exchanges and shared experiences…I could go on. The good news about ABA and Verbal Behaviour (VB…yes, another possibility though it is very similar to ABA) is that you can learn to do a great deal yourself. I wouldn’t say it was easy. I would say that in my case I was drafted into the role of therapist by necessity. In the end, I found it just a pleasant way to be a parent. Essential oils and laser…I don’t know what this is all about. It sounds suspect. However, I do know there should be some urgency in helping a non-verbal 5-year old. No two autistic children are comparable, really, but our non-verbal three year old who received intensive ABA (often play-driven, always fun for him) is a very lovely adult now who enjoys teaching languages to others (I have a video clip of him teaching Mandarin last week in a very noisy place…just amazing he was able to do it!). He’s still autistic; he still struggles at times. However, he’s in a great place compared to what may have happened had we not put in all those hours….but those hours were actually quite fun. Just exhausting! I wish you every good thing in your efforts to help your grandson. You can make a massive difference. Please find me on my website and let me know how you are doing. I am cheering for you.